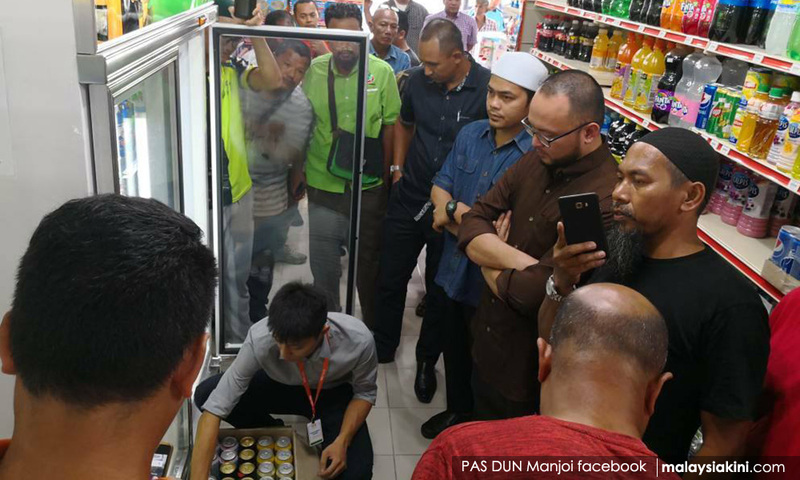 Malaysiakini : COMMENT | We have lived with Najib Abdul Razak's reign of terror for almost a decade, and that is why the video clip of men from a Muslim NGO, forcing a shop assistant, in a store in Manjoi, to empty a liquor cabinet, fills us with dread. The assistant may have avoided a confrontation with the thugs, because he feared that he would be beaten up, or that they would return at night and fire-bomb the shop. The timing is crucial. The thugs know that the authorities are reluctant to act during Ramadhan. The new Mentri Besar of Perak, Ahmad Faizal Azumu, has refused to deal firmly with these troublemakers. His weakness emboldens the thugs. Worse still, is the silence of the Muslim leaders, who do not condemn the bigots.